Chinese has no noun/adjective genders, no noun/adjective cases, and no verb tenses a�� in fact Chinese grammar is extremely simple and with regards to grammar it is one of easiest languages to learn. Mandarin Chinese differs greatly from both European languages and other East Asian languages such as Korean and Japanese in its grammatical simplicity. 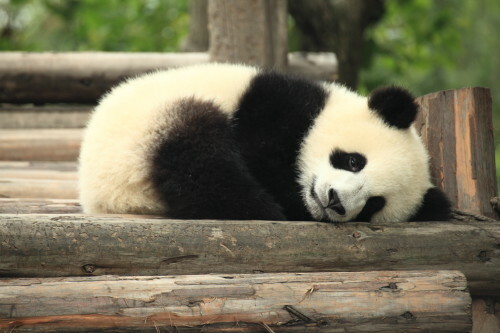 And giant pandas, in the wild, can only be found in the remote, mountainous regions of central China, in Sichuan, Shaanxi and Gansu provinces. It is often said that Mandarin Chinese is extremely difficult because of the vast number of written characters and the multiple tones that exist for the same syllable. However, although these factors do contribute towards the complexity of the language their difficulty is often exaggerated. With regards to the characters, a learner only needs to be familiar with around 2000 characters to have a sufficient degree of fluency. In addition, technology is making it much easier to produce written characters a�� all you need to do is recognise the character in order to reproduce it, rather than draw it from memory. And in relation to the tones, the context is often relied upon to give meaning and understanding. Whilst the tones are important, they are not the only factor when communicating. Although Chinaa��s economic growth has slowed down in recent months the economy continues to grow and the annual GDP growth rate stands at a healthy 6.7%. Over the last 35 years China has gone through an impressive and unprecedented transformation, converting itself from an insular, poor, backward third world country into a dominant force on the global platforms of business, trade and industry. China has achieved this largely by opening itself up to the rest of the world, rather than continuing to be cut off from it. However, the differences between new China and the rest of the world remain a�� and those who can speak both Mandarin Chinese and English have the best chance of reconciling the two, allowing both sides to benefit from Chinaa��s economic expansion. Mandarin Chinese language skills among non-native speakers are rare. But also in great demand. If you learn Mandarin Chinese to an advanced level, and can provide the means by which to bridge the communication gap between the Chinese and the rest of the world, you will find yourself in an extremely attractive and valuable hire, which will enable you to command an excellent salary and desirable role. Firstly, China has a huge population, many of which do not speak English well. Secondly, the Chinese have a huge diaspora in almost every country in the world. Both situations mean that you will have excellent opportunities to practise the language, improve your skills and become fluent in a shorter period of time. For all your Mandarin Chinese learning options see Start Learning Mandarin Chinese. Cactus also offers Mandarin Chinese language holidays abroad, evening courses in the UK, and private tuition. You can also find useful information on our Free Online Mandarin Chinese Resources page.